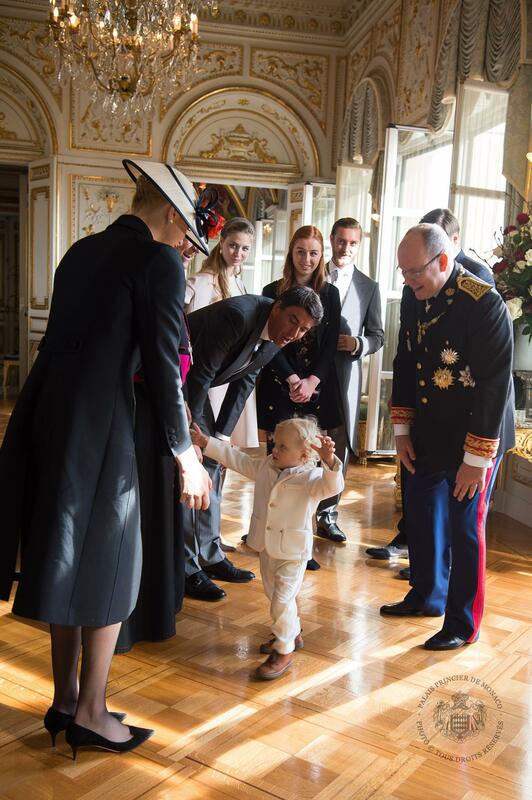 The past week was not very intensive in terms of events in the princely family. 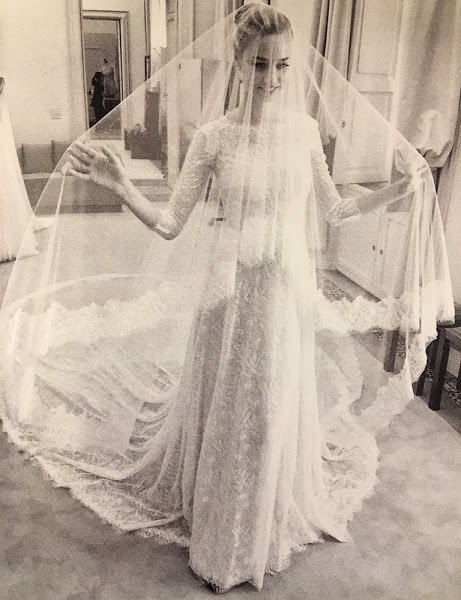 Nevertheless, we have something to tell you about the ruling family. S.A.S. 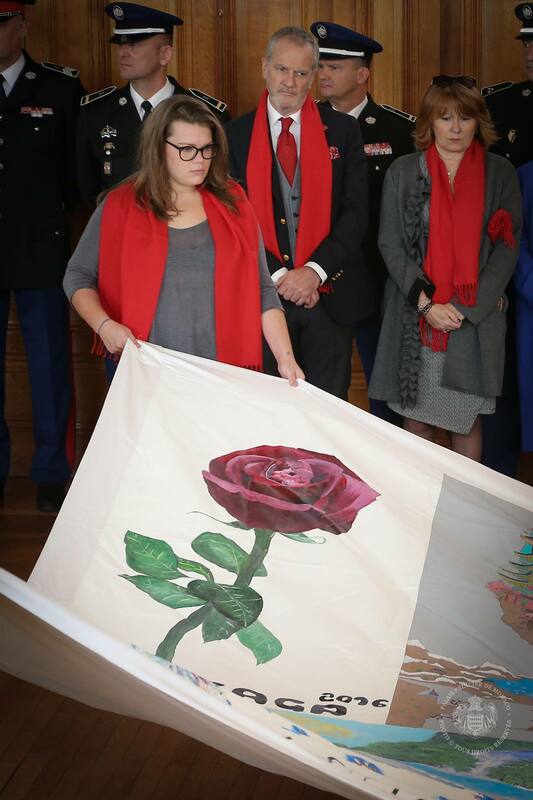 Princess Stéphanie, Founding President of Fight Aids Monaco (FAM), presented eight memorial quilts in the Conference Hall of the Oceanographic Museum on Monday, the 28th of November. Inspired by the movement “Aids Memorial Quilt” born in San Francisco in 1985, the quilts pay tribute and carry the names of 72 victims of the disease. 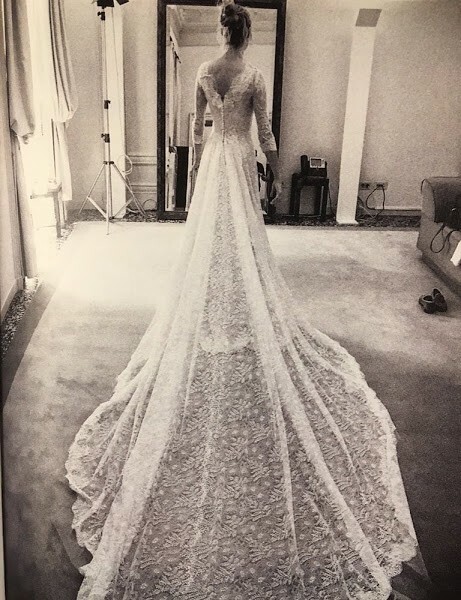 In an interview Princess Stéphanie said, that is very emotional. They were there to remember those who died in physical suffering and often in mental suffering, abandonment, isolated. They showed them that day that they were there, they support without judging them. Even if they are no longer on this earth. It is important to take action because, nowadays, no one does anything in the neighbouring countries, we talk a little on TV, and that’s it. HIV is a forgotten cause. 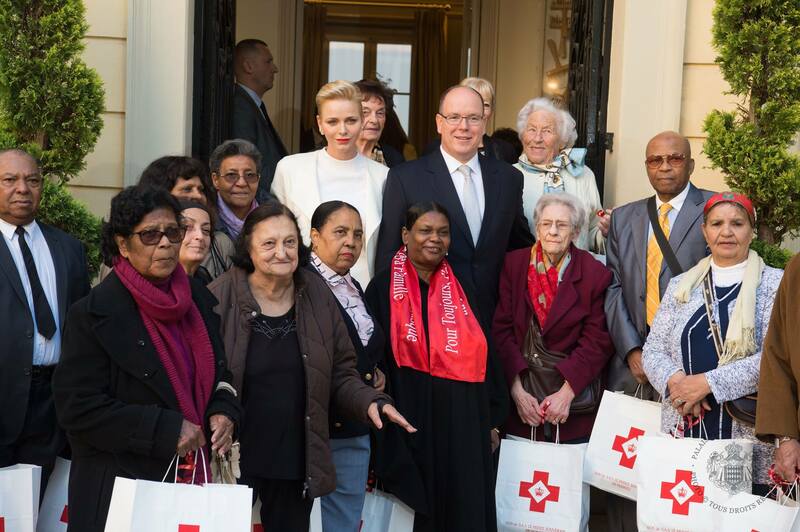 Monaco is a small country but it does much more than large countries in terms of information, awareness, education. And today is made to remember that HIV exists, that HIV kills, every day, regardless of social class, religion, ethnicity or skin color. 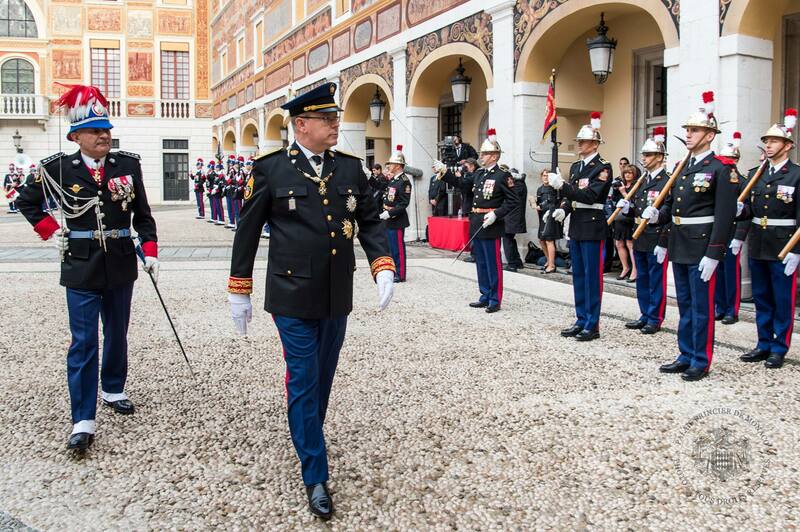 Re-discover some the highlights from Monaco’s National Day, 2016, with these photographs. 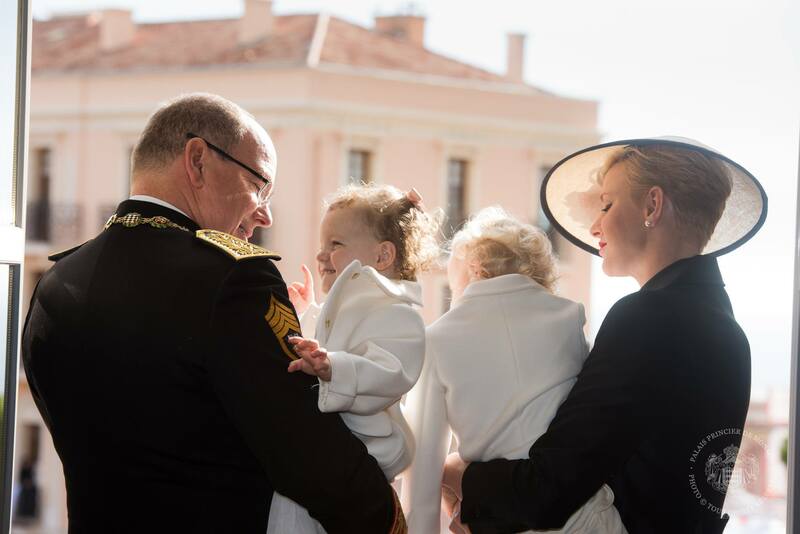 The photos depict the family presenting gifts to the Red Cross on Thursday, the 17th of November, HSH Princess Charlene and Hereditary Prince Jacques visiting the Frigate of the French National Navy “Le Guépratte” on Friday, the 18th of November and celebrations at the palace and on the square on the 19th of November. Pregnant Beatrice Borromeo was seen out and about with her friends in Milan, Italy. At the Meridien Hotel, the Art Works auctions are being held in support of the Fight Aids Monaco Association. 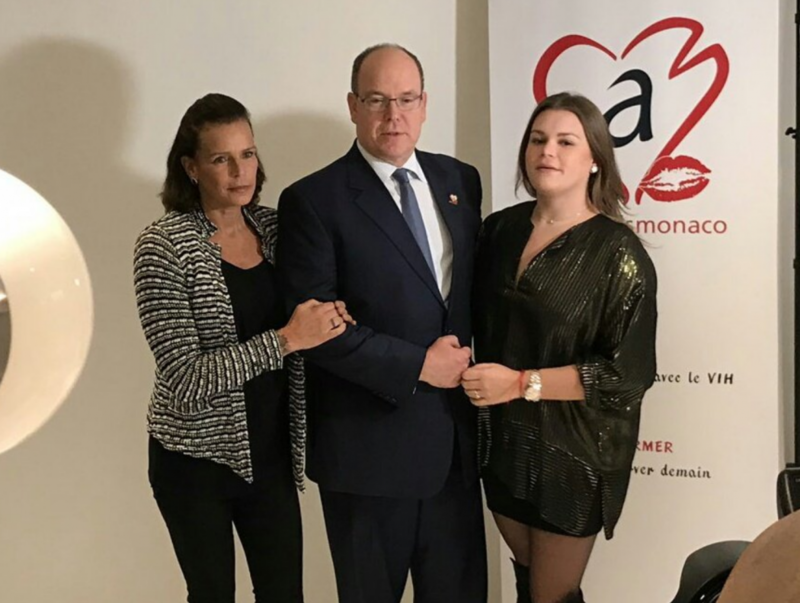 The Prince and Stephanie at the Meridien Hotel, the Art Works auctions are being held in support of the Fight Aids Monaco Association. 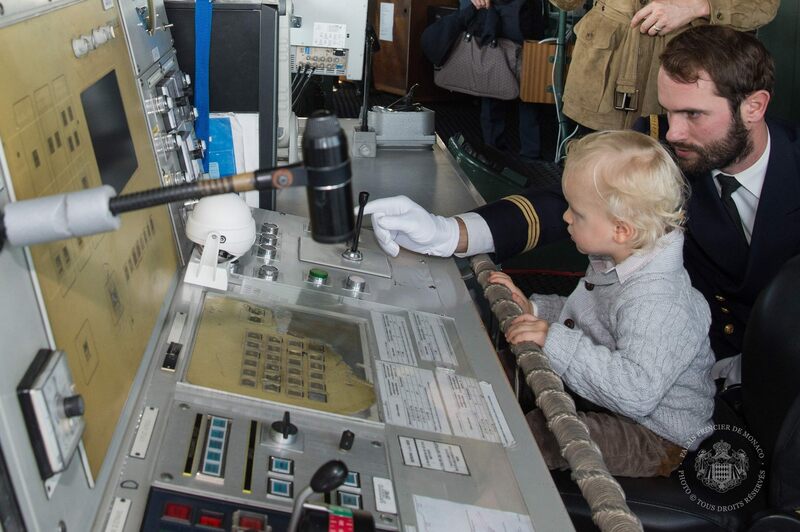 And at the and of the week – surprise! 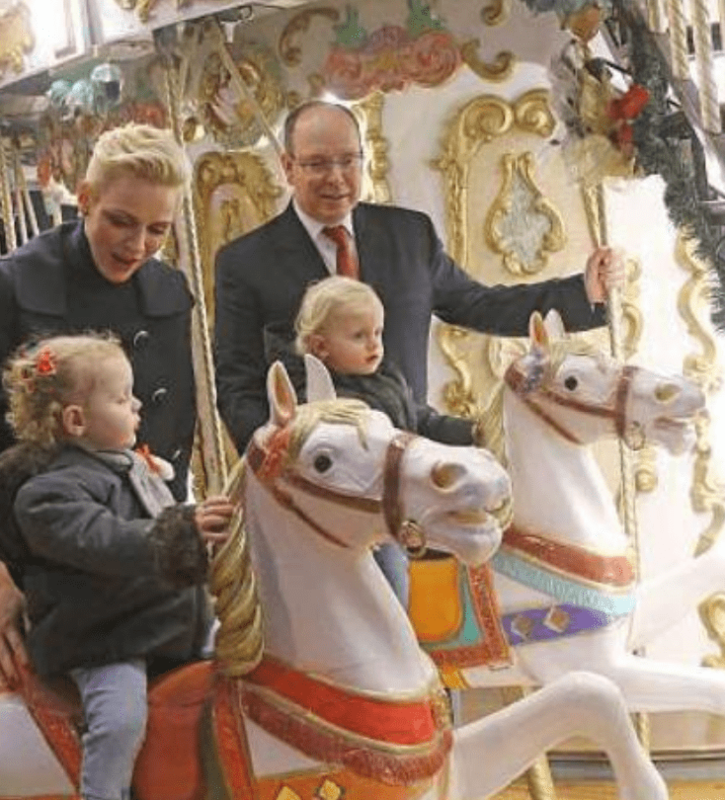 Prince Albert II visited the Christmas village on Saturday afternoon. 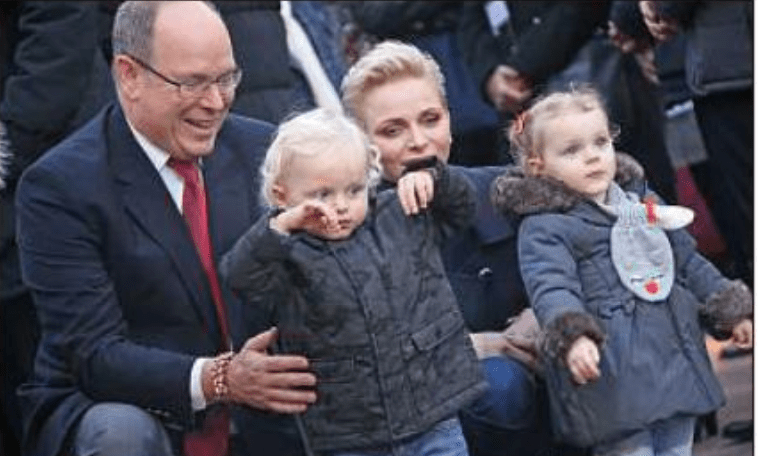 Joined by Princess Charlene, the Crown Prince Jacques and Princess Gabriella, Prince inaugurated the village opening and kids took a few rides!